What may or may not be good from a buyer’s perspective. While a home buyer inspection often is optional, it's a powerful tool to ensure that the Scottsdale luxury home you buy is suitable - and more importantly – a solid investment both structurally and financially. Home inspections should be conducted by a professionally trained inspector – inspectors the experienced Scottsdale buyer’s agent not only recommends but also oversees. It’s important that the inspector chosen has all the certifications and licensing in accordance with Arizona regulations. 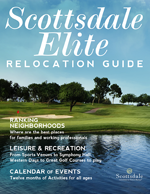 A Scottsdale buyer’s agent who specializes in Arizona luxury real estate understands precisely the critical nature of the inspection for the Scottsdale luxury home buyer of Scottsdale luxury real estate. Be prepared. It’s the job of inspectors to find everything wrong with the house. Many of these issues are small, insignificant things. Others may not be quite so small, rather downright grave. After the inspection, make a list of your priorities so that you can decide for yourself what could potentially be a large problem. You can always discuss these matters with professionals to give you more information, as well as an estimate of the work needed to resolve the problem. This is merely a partial list of things an inspector looks for. A home inspector with a highly trained eye will be able to quickly spot any potential problems within a home. The cost of a quality home buyer inspection varies depending on the square footage of the home and the home's location. Home inspection costs are generally paid by the buyer.